In an interview to a popular television channel, Oscar winning musician AR Rahman had said that it is a fantastic experience working with his children. While his son has rendered his voice for the Hollywood film Couples’ Retreat, his daughters have sung for the Hindi film Mangal Pandey. The proud father said that he is happy to see the evolution of his children and groom them. 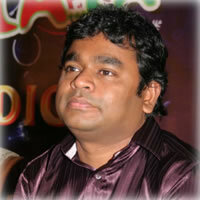 Rahman said that his son’s interest in music came on its own and hence he decided to tap the potential to its fullest.